There are more than enough roads to be injured in a car crash in Miami. Interstate 95 is one of the deadliest roads in the whole US, not only in Miami and South Florida. The I-95 Express, which is a small 3.85-mile stretch of the I-95, is the deadliest of all. Other dangerous spots include the Northwest 42d Avenue and the Dolphin Expressway. You may be the best car driver in the world. You know that driving according to the rules will take you safely from one place to another, and it won't cause damages to anyone else. This way of thinking guarantees safety on the road, but only until you get in the way of someone who thinks that their recklessness won't bring any bad consequences. We are Miami personal injury lawyers and have faced them for countless number of times. They always claim they didn't do anything wrong, that it just happened. Taking responsibility is not an option for them. Instead, they'll try to avoid it at any cost. Very likely, they'll hire a Miami auto accident lawyer for assistance. Their insurance company won't pay easily either. They always try to pay as little as possible, and your accident won't be an exception. In rare cases when the responsibility is too obvious, they'll offer you a compensation package. We advise you to refrain from accepting it before speaking to an attorney because they wouldn't pay you as much as you deserve. They count on your lack of information and experience. That's why you need to talk to our Miami auto accident lawyers as soon as possible. Reach us at (305) 285-1115 to get a free consultation. We offer you clarification on all the aspects of your case for free of charge. If we think that you can't get monetary recovery, you'll know it at no cost. If you qualify for compensation and you want us to represent you, we'll keep it at no cost for you unless we recover damages. You know that you may be entitled to damages compensation. That’s the only way to get justice for the injuries you’ve sustained. If you lost a loved one in the accident, there is no way to fill the void left after the loss. But again, the only way to find justice is through the legal system. 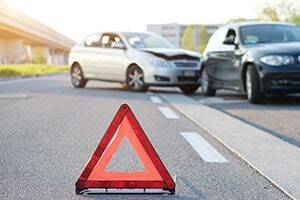 You can seek legal responsibility by the liable person, as well as financial compensation for the financial expenses due to the accident, as well as compensation for pain and suffering. The damages recovery pursuit will be a tough battle. There will be negotiations, delaying, and possibly many meetings. If you don’t want to go through that while recovering from the accident, your best option is hiring a Miami car crash attorney. When we work on cases like yours, we talk to experts to understand your injuries. They help us evaluate your case worth, so we can take a good negotiating position. Once we get to the point when we are sure of what’s the maximum amount you should pursue, we work diligently to get you the result you deserve. The bilingual Miami auto accident attorneys at Wolfson Law Firm are available for free consultations at (305) 285-1115. Call us today to learn about the possibility to get damages recovery. You may recover for medical expenses, medical device and medication expenses, loss of financial support for the dependents, lost income, scarring and disfigurement, and other damages as allowed by the laws of Florida. If you want to know where you stand, contact us, and we'll clarify everything for free. We don't ask for fees until we recover damages. Our bilingual lawyers are at the service to all the good folks injured in Edgewater, Flagami, Brickell, Coconut Grove, Miami Beach, Little Havana, Allapattah, Northeast Coconut Grove, Wynwood, Overtown, Upper East Side, Coral Way, Liberty City, and other Miami neighborhoods.